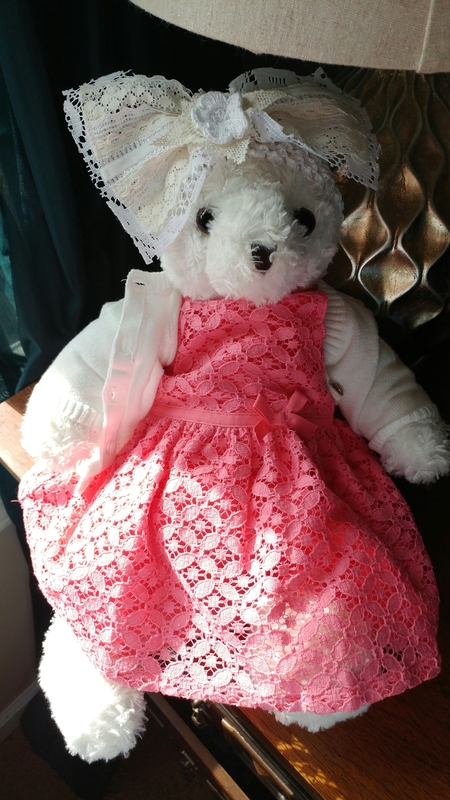 We took this video a long time ago and when David and I are feeling down we grab Brielle Bear, throw her arms in the air and sing, “Yeah!” I was struggling a little with this song, it’s hard to disco dance with an urn bear. 🙂 Also, I’m hiding because I’m still in my pajamas. 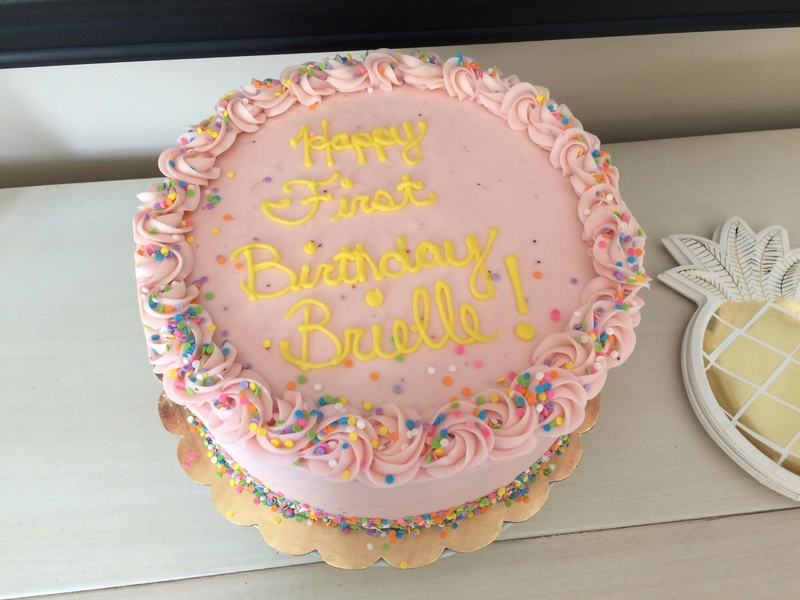 If you remember Brielle’s 30th week, you know that David picked her up Gigi’s cupcakes and that she loved the bubblegum cupcake and that I hated it and choked down as much as I could handle. Her second favorite was the strawberry shortcake flavor. Her yummy cupcakes, except for that awful bubblegum one that she loved. We went back and forth on getting her a fancy tiered cake, but that kind of seemed over the top and stressful. 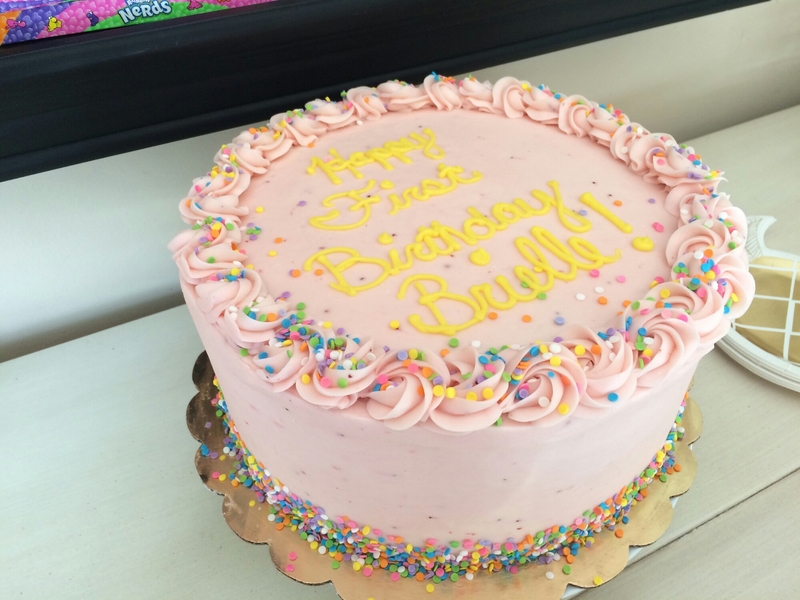 Ultimately, we decided to go with a custom cake from Gigi’s in the strawberry shortcake flavor. I’m really excited about the cake and can’t wait to have some! I may have a cake addiction. She also, hated, Fox In Socks. One night as David read to her Fox In Socks, she kicked the right side of my belly (where David was reading) hard and then ran away to the left side of my belly and burrowed as hard as she could to get away from the sound of his voice. When I told David to stop and try reading something else, she calmed down. He picked up Beauty & The Beast and began reading, she waited a few moments and then moved back to the right side of my belly, and snuggled up closer to his voice. So cute. She knew what she liked!